The referral slip below is provided for our referring doctors. 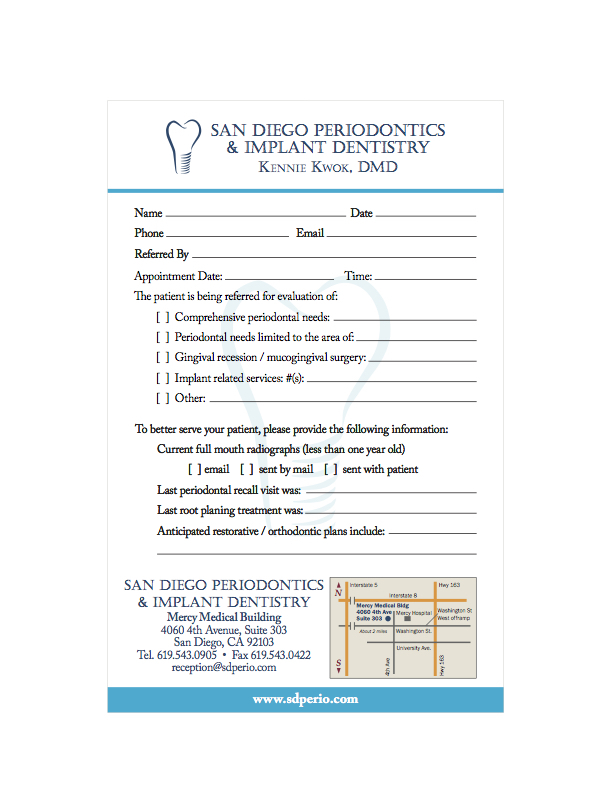 For your convenience, this form can be printed, filled out and given to the patient or emailed to our office prior to the patient’s first visit with us. Thank you for your referrals and your expression of confidence in our office. All our Patient Forms are available for download on this page and are in Adobe Acrobat PDF format. If you don’t have this program yet, you can download the Adobe Acrobat Reader for FREE by clicking the icon below.